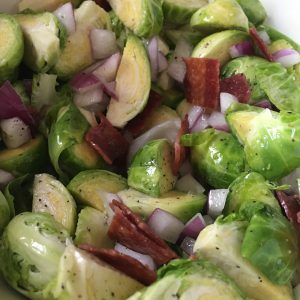 I like to cook with the seasons and in the fall that means making the most of seasonal Brussels sprouts. 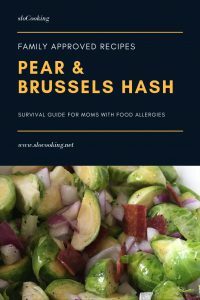 I found this recipe for pear and Brussels sprout hash with crispy bacon. 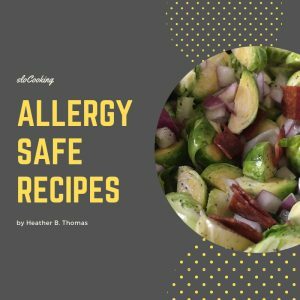 To make this into a full meal hop over to the store and pick up a rotisserie chicken.